In partnership with Image Threads Collective, Fine Art School offered a course on photobooks led by Margo Ovcharenko. The curriculum was designed for those working on a long-term photographic project intended for the book form and was aimed at creating practical knowledge in designing, printing and binding a photobook, as well as addressing form and concept in contemporary photo books on a more theoretical level. 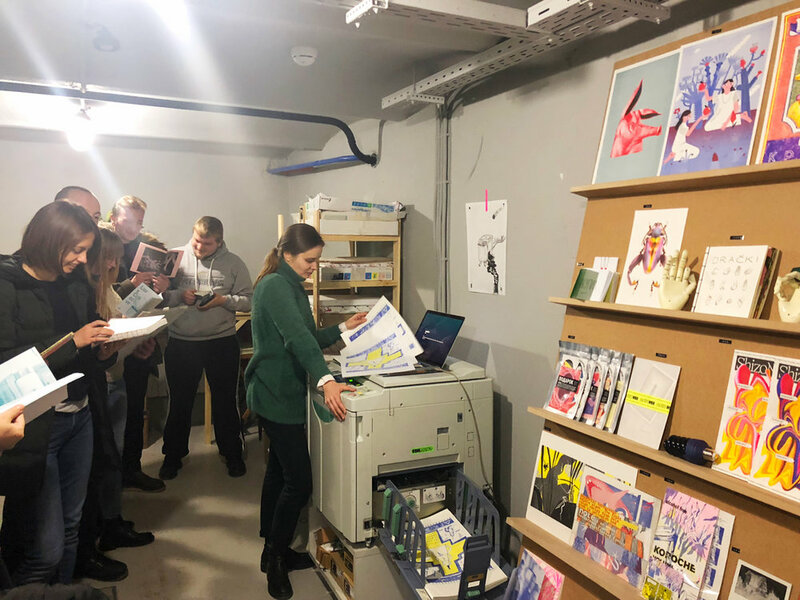 The students worked on sequencing using their own work as well as archival material collected by Image Threads, consulted with a graphic designer and visited a publishing house while working on their dummies.